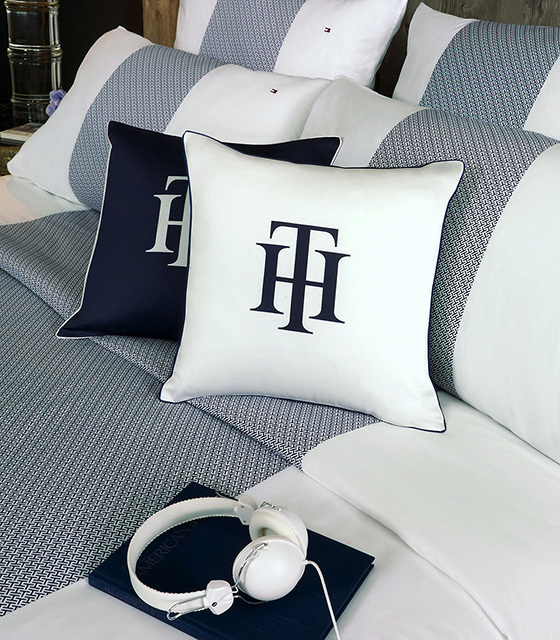 Under the motto “The American preppy lifestyle” the french bedlinen company Descamps has released the first images of the upcoming 2014 european Tommy Hilfiger home range including bold TH logo monogramms and blue-red-white colour blockings quoting both nautical references and the signature logo. UPDATE: We had to learn that Tommy Hilfiger/Deschamps has withdrawn their presence on the main textile fair. A presence at the maison & objet in Paris is not publicized. 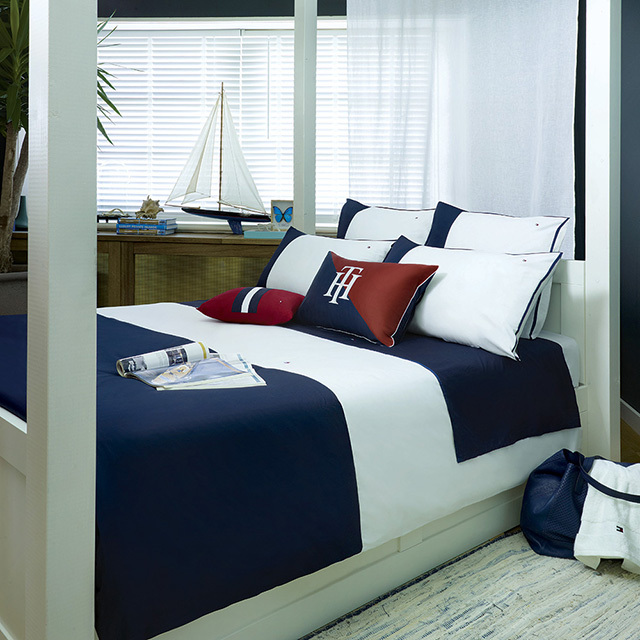 This entry was posted on December 20, 2013 by Chef de Cuisine in Fairs, Home Collections, Uncategorized and tagged Bed + Bath, Bed linen, DESCAMPS, Home collection, TOMMY HILFIGER.